Perhaps this is a classic case of “over selling and under delivering” where expectations were set too high. Surely one way to improve that metric would be to lower the bar. However, we believe that the reason many OE programs fail is because they do not set expectations high enough. Unfortunately, Operational Excellence is often associated with efforts to create continuous yet marginal improvements by chiseling fat and waste away little by little. These methods have their place, but they alone will not deliver OE. We believe Operational Excellence is much more than a set of tools, methodologies or software to marginally improve performance. OE is an end goal where your company is performing at its absolute best to execute its strategy. One of the greatest opportunities for outstanding performance is through Operational Excellence. As competition intensifies across all industries, competitive advantages from strategic differentiation are harder to find and much harder to sustain. 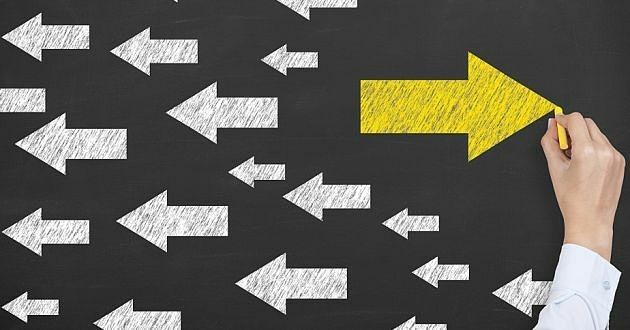 Companies that can effectively and consistently execute their strategy while quickly adapting to strategic shifts will stand out among their competitors. Just look around any typical company. There is rarely any shortage of good ideas. The limitation is usually on the ability to put those ideas into motion. Operational Excellence is delivering leading performance across all measures of value by consistently executing the strategy. Consistent execution requires two components working together: the systems in place to manage the work to be done to execute the strategy, and the culture that drives how well and consistently the work is done. The following series of articles is a compilation of what we believe to be the 10 most fundamental things to get right to allow for Operational Excellence. Before diving in, a word of warning. This is not a comprehensive checklist of everything you will need to do to achieve Operational Excellence, but rather a list the things most often forgotten or ignored. This is also not a list of the trendiest buzzwords that will excite the imagination. These are the fundamentals of Operational Excellence, the necessary foundations that allow other, more exciting things to flourish. In a way, these represent a new approach to Operational Excellence. In another way, they represent a return to an old approach, a return to the things we’ve lost through growth and complexity, and a refocus on the basics that make a company great. Every organization depends on some division of responsibilities, which means it runs the risk of fragmentation. Regardless of how an organization is set up, there needs to be something that provides a common thread pulling everyone in the same direction. By integrating the systematic way in which the company is managed, Operationally Excellent companies ensure key decisions all support the same vision, goals and objectives. This is the idea behind their integrated management systems. Coordination, alignment and consistency can often come at the expense of speed. With the pace of change and increased uncertainty facing most companies today, a key competitive advantage is the ability to retain consistency even through rapid strategic redirection. This requires being deliberate and selective in how processes get locked in by standards, procedures, or even technology. Think of it as creating organizational “muscle memory” around the processes that shouldn’t change, to allow faster decisions and changes when needed. One of the most common mistakes we encounter is adopting systems designed for other organizations as a pseudo bolt-on package, especially when it comes to management systems for Operational Excellence. Whether it’s adopting a system from one of many international standards organizations, or from within the industry, this shortcut often creates more issues than it solves. This approach typically fails because it ignores what actually makes any system effective. Like an iceberg, an effective system is sustained by the parts you cannot see or copy. The most successful Operational Excellence programs are built by the people it is intended for. Every company makes good and bad decisions from time to time, but consistently making good decisions requires decision discipline. A process-based decision framework helps remove bias and leverages information from previous assumptions to improve future decisions. When many companies hear about process-based decision making, however, they picture how decisions are made within their value-chain processes. Operationally Excellent companies also apply a process-based approach to the practices that manage their value chain. This is a very important distinction that This not only improves decision making, but also allows clearer ownership and accountability across interrelated groups. Simple systems are more likely to be used, which makes them more likely to be refined and improved. Overly complex systems, however, tend to overpromise and under-deliver. Think about this on the micro scale of a procedure for a single task. Procedures that are overly wordy and complex are usually, for the most part, ignored. The same holds true on a macro scale for complex processes, reporting structures and systems. Technology is an amazing tool, but it’s a double-edged sword that depends on the right conditions and use to function correctly. Operationally Excellent companies use technology in amazing ways, but a key difference is in the role that technology plays. They usually adopt technology as a piece of a bigger solution to a well-defined business need or risk. This broadens the focus from the technology to include systemic issues that may be holding current technology back. Their approach focuses more on internal adaptation to enable and maximize the value of technology than simply adopting more of it. Imagine this scenario. During an NFL game, the quarterback brings the team together in a huddle, utters out a play, and then, instead of proceeding with the play he goes around the circle asking for the opinion and buy-in of every player. This scenario plays out every day across companies where unclear ownership is compensated for by consensus. Effective teams work together, but they don’t all play the same role. In effective organizations, individuals all know the overall objectives and their individual role in achieving it. The need for effective governance is a given, but effective governance looks different for different companies and situations. If you think about governance from the lens of decision making, the governance placed over any given decision needs to be appropriate for the potential risk along with the level of urgency. Also, escalation does not always equate to mitigation for a high-risk decision. It’s not uncommon for front-line leaders to have more accurate and timely information than those a few organizational levels above them. Operationally Excellent companies value their culture as a competitive advantage. They recognize that most competitive advantages can be copied and are short-lived, but culture is a primary source of sustained advantage. This is why OE companies protect their culture; they keep a close eye on it and continuously reinforce it. Their culture is embedded within many processes like they way they plan, the way they evaluate potential employees, and their processes for accountability. They also work on it to make sure it is still right for them, particularly as their strategy and operating models change. This last one is one of the most important. Operational Excellence, and the management system(s) and culture associated with it, are often seen as tools for managing the front-line towards better performance. People see the standards and procedures and view them as a way to keep their people in check. Operational Excellence requires leadership by example. It will not work if leaders expect everyone else to follow the system, but not themselves.